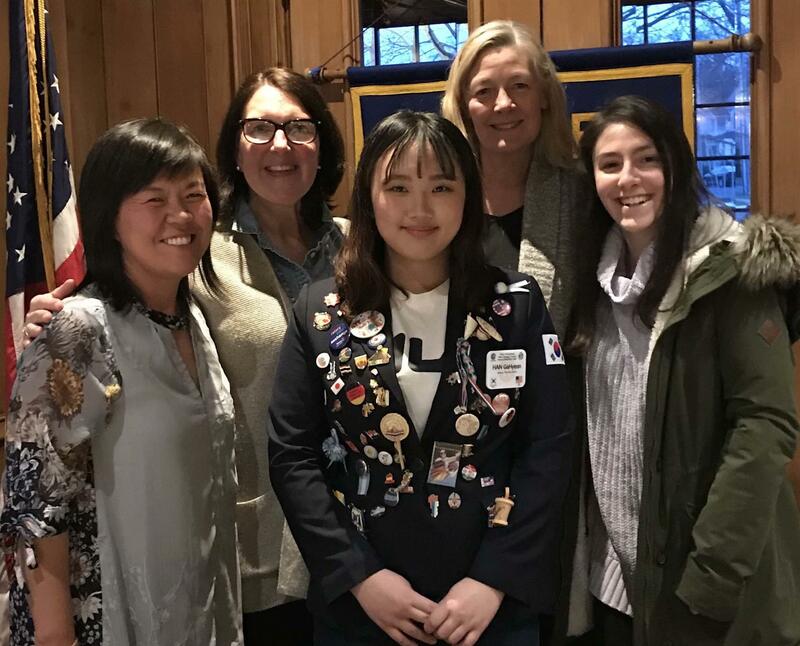 Rotary Exchange Student, Gahyeon was featured speaker at the Skaneateles Rotary Club this week. Gahyeon spoke about her experiences in Skaneateles with her host families who were so nice and friendly. Gahyeon said she had a great Christmas and received more gifts than ever. She picked apples at Beak & Skiff, went to the Bluewater Grill for her birthday, visited New York City and Chicago with her host families, and enjoyed some favorite food – especially Johnny Angel’s. Gahyeon also visited New York City with other exchange students. She spoke about how she joined basketball and track to make friends. She also participated in homecoming and haunted hallways. 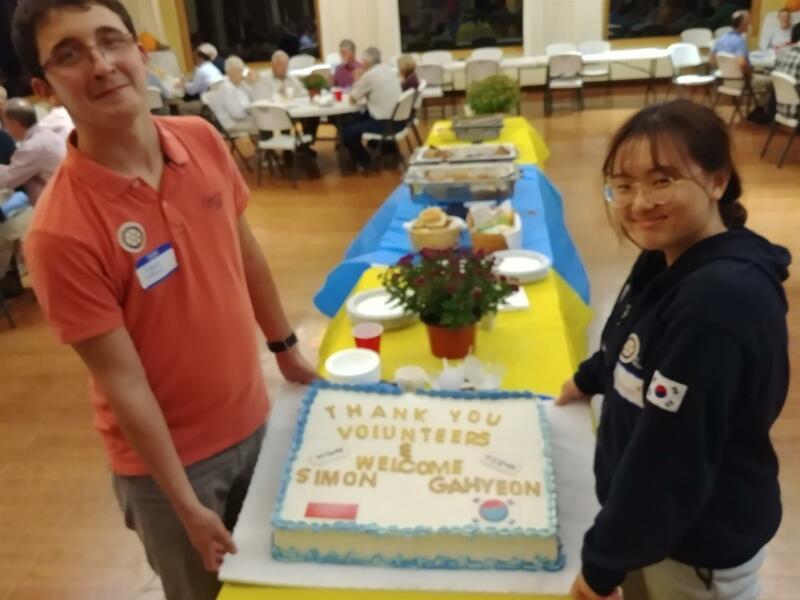 Gahyeon thanked our Rotary Club and her host families, and said she’ll never forget her experiences in Skaneateles. Skaneateles High School Senior Noah Smith presented a $1,000 check to Tom Deuson, ambassador for ShelterBox USA on behalf of the Skaneateles High School Interact Club. The students were inspired to raise money for the disaster relief program after Deuson brought a display to the high school. They learned how ShelterBox provides vulnerable people around the world with emergency shelter and supplies. 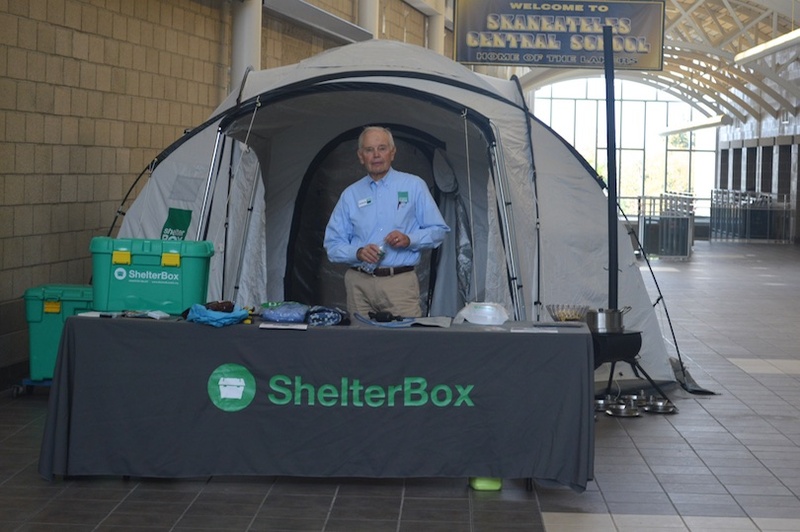 Since 2000, ShelterBox staff and volunteers have helped give shelter to more than 1.4 million people affected by disasters and humanitarian crises. The beautiful clean waters of Skaneateles Lake and the stewardship of local people inspired Peter A. Clark to grow up to become a hero of the decades-long effort to restore Tampa Bay. 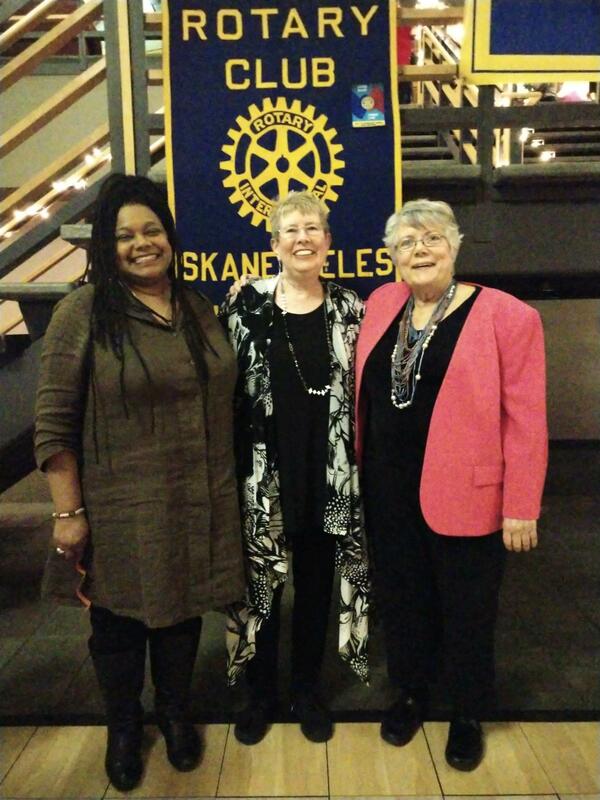 As a guest of the Skaneateles Rotary Club Thursday, 3/14/19, Clark spoke to an audience that also included fans of Skaneateles Lake. Significantly, the audience included young Rachael DeWitt, the director of the Skaneateles Lake Association which is leading the charge to protect Skaneateles Lake. 5th Annual International Women's Day Celebration, a Resounding Success! 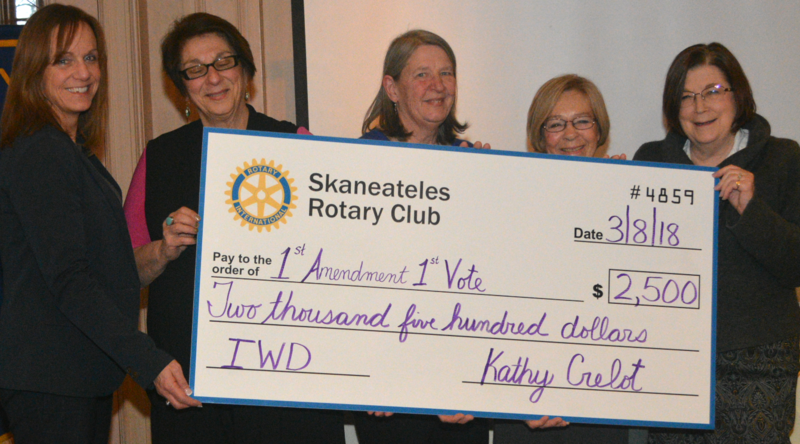 Linda Larsen had the audience in stitches as she gave tips on the power of positive thinking in a comedic performance at the Lodge for the Skaneateles Rotary Club’s fifth annual International Women’s Day celebration Thursday. She titled her talk “Staying right side up when everything is upside down,” but said it’s really about knowing how to “recover more quickly” when things are upside down. “What I’ve learned in life is that there is What I Planned … and What Actually Happens,” she said. 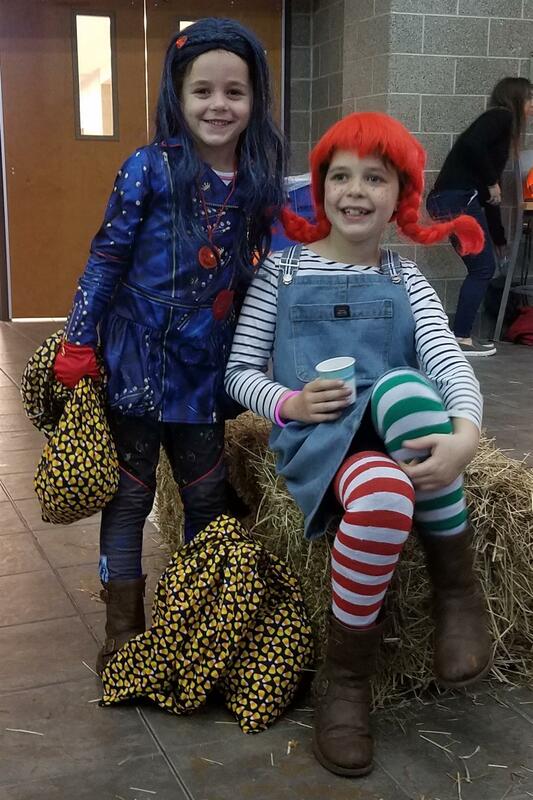 Skaneateles Rotary Club had a great event at the Skaneateles High School last Halloween night during their annual Haunted Hallways. Our club provided and served 12 dozen doughnuts (576 doughnut quarters) and 12 gallons of apple cider donated by Beak & Skiff Apple Orchards. The decorations looked great as Karen Price’s Interact kids did a super job. 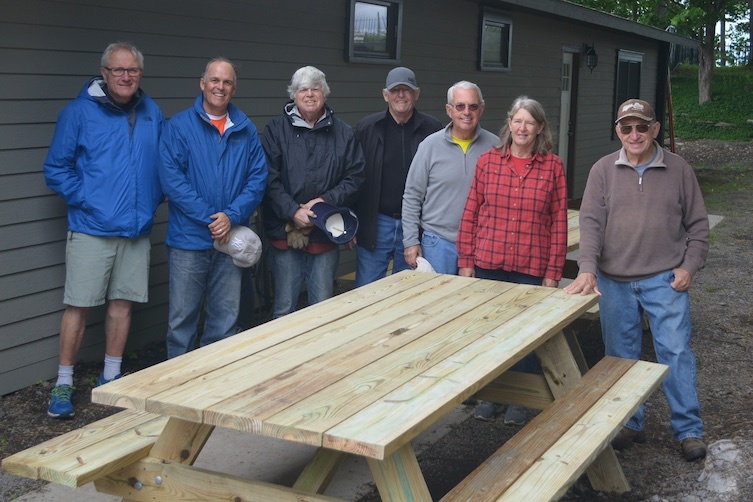 We had 11 volunteers from our club for setup, serving, and cleanup. A good time was had by all. Fun, treats and goblins aplenty for young and young at heart. Gard Lorey SRC YE chair, extended a huge welcome to our 2018-19 exchange students and host families during our Annual Club picnic. Tymon is from Poland and Han is from South Korea. 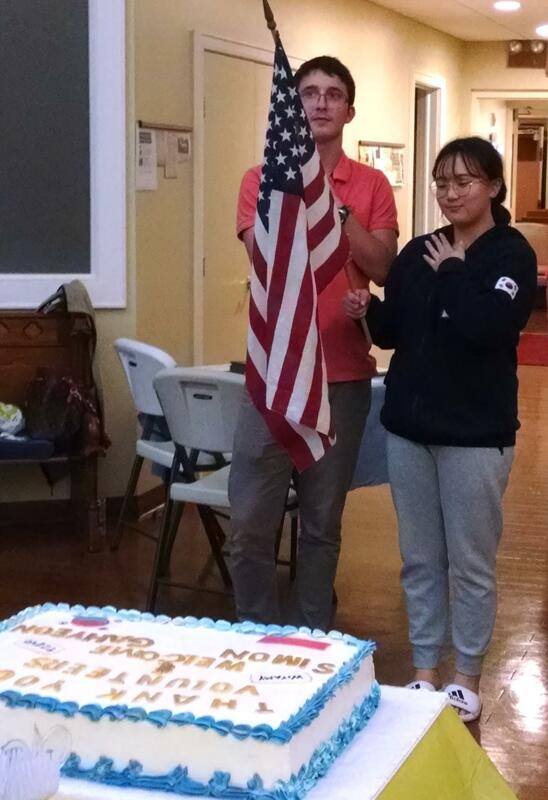 Both Tymon and Han expressed their gratitude and happiness as exchange students. Gard talked about the exchange program and how it hinges on the availability of host families. Current host families were thanked and Gard asked that people spread the word about the need for host families. 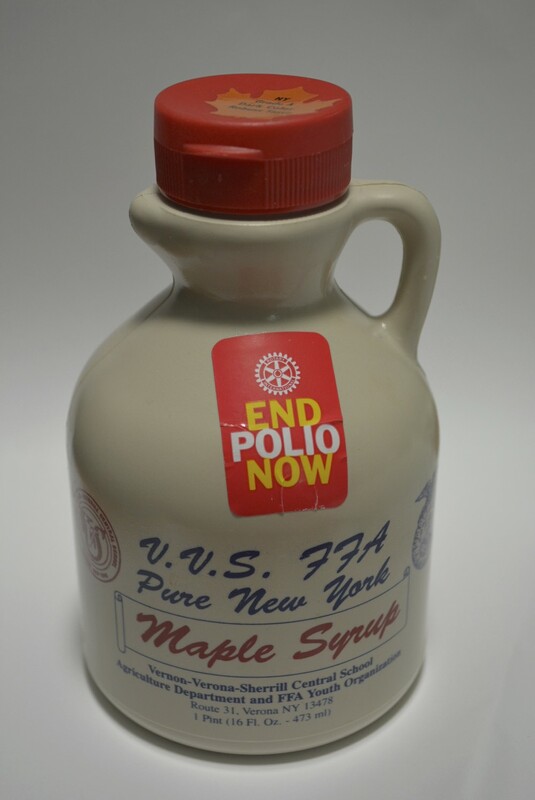 The PolioStopper project just topped out at $16,000 raised for the eradication of Polio. Past RI President (2016-17), John Germ contacted Ward, this past week, for 30 PolioStoppers for which he is making a $3,000 contribution to PolioPlus. The PolioStoppers are a mix of the 2016-17 Theme pin, 4 Way Test and End Polio Now inserts, which will be completed and shipped by month end. Prosthetic Hands - Dr. Dayaprusad Kulkarni, center, told the Skaneateles Rotary Club members how their donations have helped give prosthetic hands to young people. “It costs $250 to change a life,” said Kulkami, who creates and prints 3D prosthetic hands. 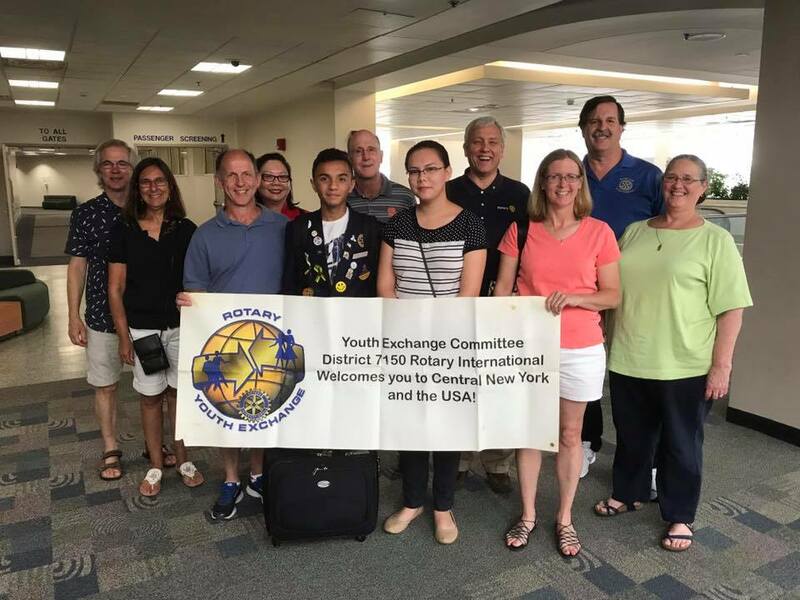 Skaneateles Rotarian Umesh Patil knew of Kulkami’s work (he had spoken before at Rotary and Rotarians had funded him) and so when he met a young girl without a hand, he immediately knew to connect her family to Kulkami. Dr. Dayaprasad kulkarni, center, with the Rotary club president Bill Conole, left, and board member Umesh Patil who donated $250 for a prosthetic hand. Seven Skaneateles Bookleggers met at the Jordan Fall Festival to glean 18 cartons of children books Sunday. Fun had by all. Included were; Bill, Mary, Ward Cheryl, Chuck, Brian and Carolyn Legg behind the camera. 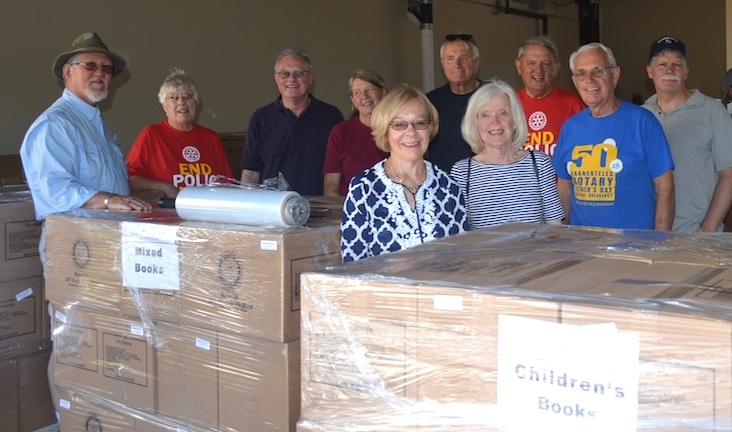 This completes another pallet of books from Skaneateles to children of the world. Rotarians and friends at work for their World Community. 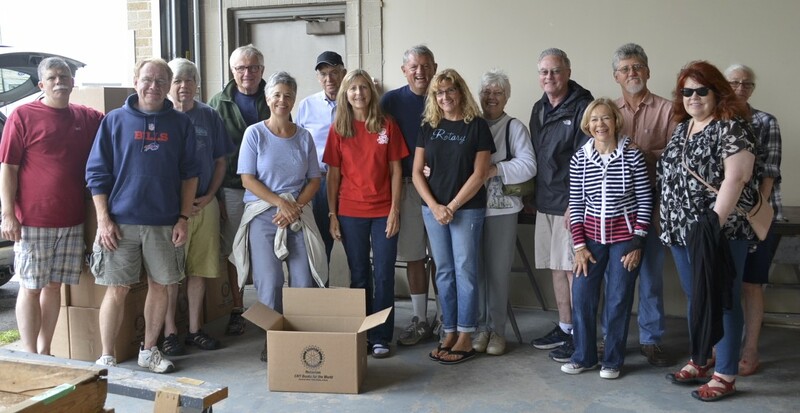 For the 9th straight year, Skaneteles Rotarians (BookLeggers) completed a very successful book staging, gleaning & packing Sunday afternoon at the Skaneateles Library book sale. WHAT A TEAM! Three full pallets of excellent; children, reference, history and fiction books were packed and staged for pickup. That's 72 cartons or about 3 ton of books to be sent to developing countries. 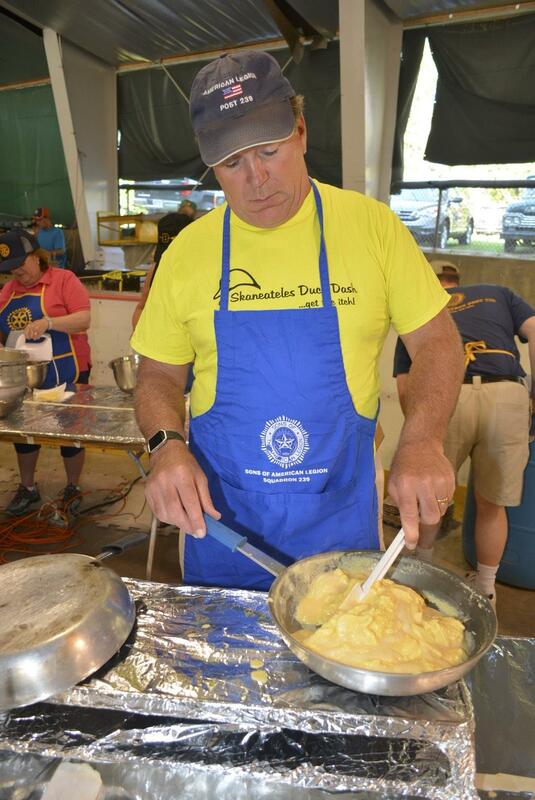 A banner year and a great to kick off a new Rotary year. A special thanks go to the Skaneateles Friends of the Skaneateles Library who help make this all possible. IT'S ABOUT SO MUCH MORE THAN PANCAKES! 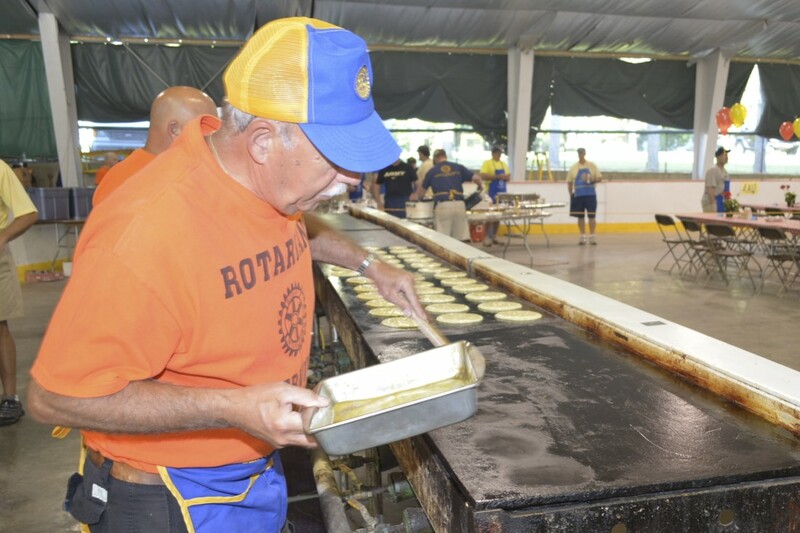 The Skaneateles Rotary Club’s Father’s Day Pancake Breakfast shines a spotlight on our community. 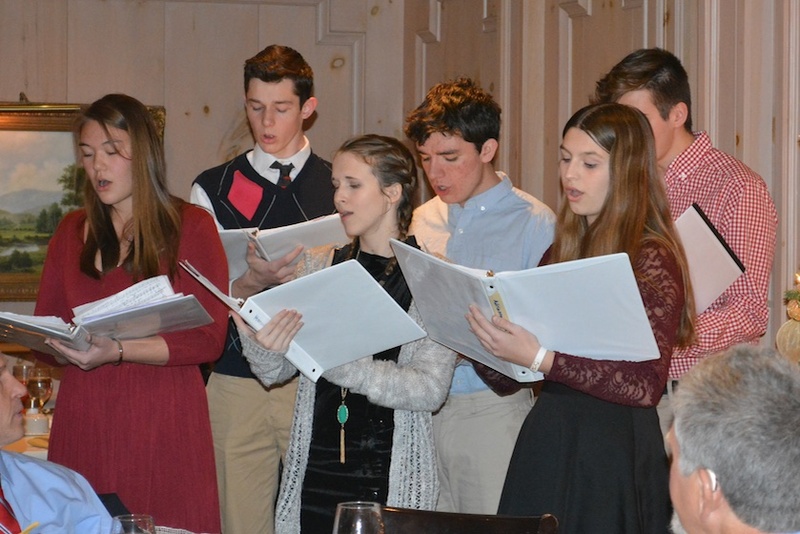 Stars of the show are often our Rotary Youth Exchange Students: those who are here from other countries and those who are going abroad from Skaneateles. 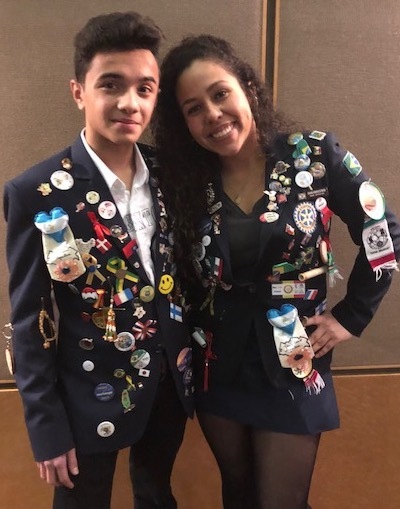 This year’s inbound students, Kashyap Lalwala and Eduarda (Duda) H. de Freitas, will be serving coffee and juice this year and helping the Interact Club give away free balloons in honor of the 50th anniversary. Here they are in their Rotary jackets. 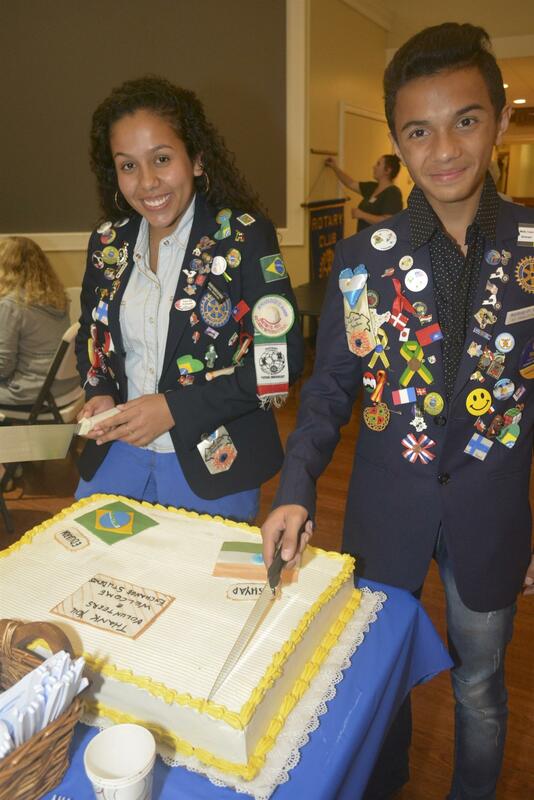 Rotary students all over the world have jackets that they decorate with mementos from their year abroad. These two have had a wonderful year and wish to thank their great host families! 4/5/18 - Amy Tormey presented generous check to Me Melina Carncicelli of the 1st Amendment 1st Vote Organization. The check Amy presented represented a portion of the proceeds from our very successful Women’s Day Dinner. Melina will be making a presentation on the 1st Amendment, 1st Vote program on May 24th. Pictured are Melina Carncicelli (2nd from left) and with Amy are some of her IWD committee members; Mary Giroux, Cathy Powell & Suzanne Hutchinson. Rotary members, friends, guests and students were all at the Lodge on Thursday evening to celebrate International Women's Day. Dr Sally Roesch Wagner gave an inspirational talk followed by two of the Ambassadors from the Matilda Joselyn Gage Foundation's program which focuses on empowering and inspiring young women to become agents of change. Many thanks to Amy Tormey and everyone else that worked on the fourth annual IWD Celebration making this event a great success. 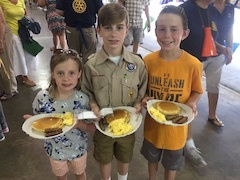 Lean more about the event by CLICKING HERE to following the story on Spectrum News Central NY, and CLICK HERE to read Lori Ruhlman's news release of the event. Skaneateles Bookleggers - Five Skaneateles Rotarian Bookleggers and a community volunteer sorted and packed 24 cartons of books at the Skaneateles Middle School Library Thursday, Dec. 21st. 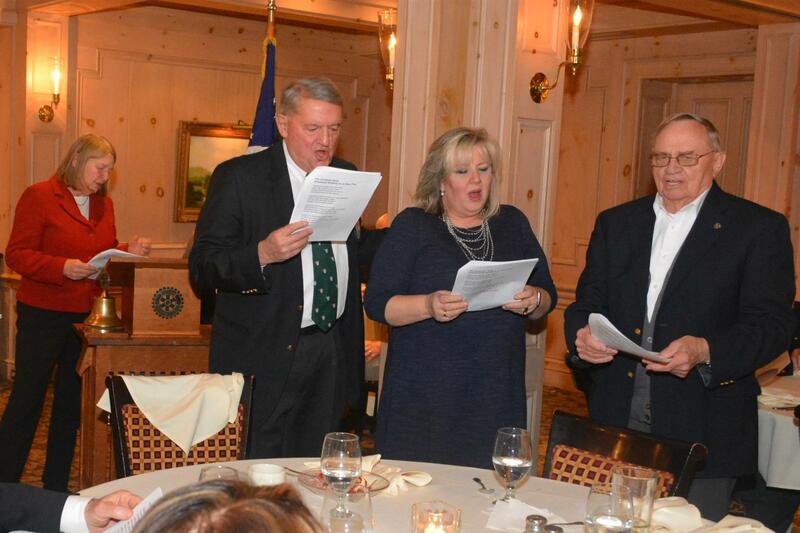 Those included were: David Piper, Bill Conole, Chuck Williams, Cathy Powell, Carolyn Widas & Ward Vuillemot. 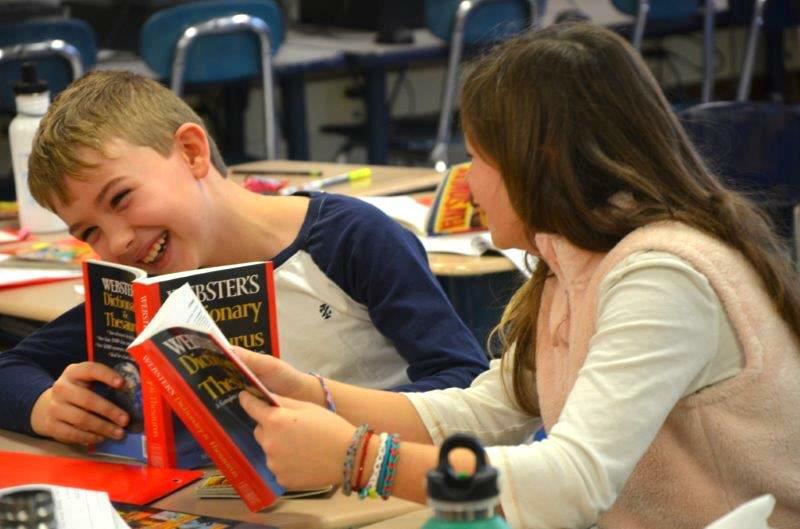 Good books, good volunteers and a good time for a good cause. 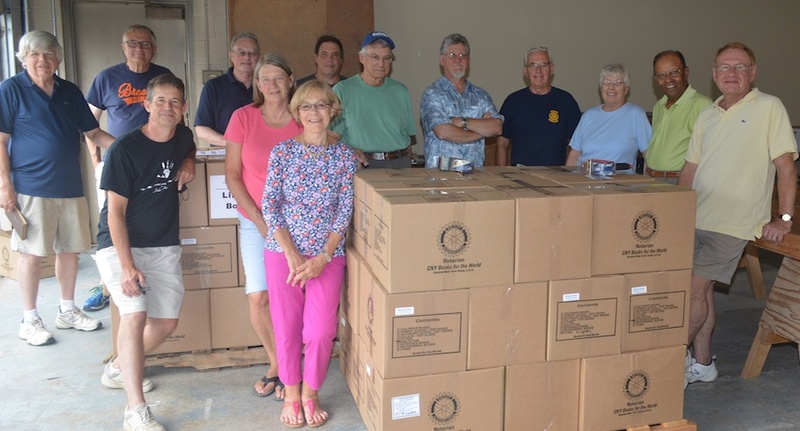 Disabled Dewitt Rotary donated $1444 and Skaneateles Rotary donated $ 500 to purchase magnetic signs for the vans to generate awareness to veterans and to solicit volunteers.The DAV transport vans cover all of Central New York, Mohawk Valley and up north. Volunteer drivers are very much needed by DAV ! BTW. kudos to our own John Moran is one of the many volunteer that drive these vehicle. 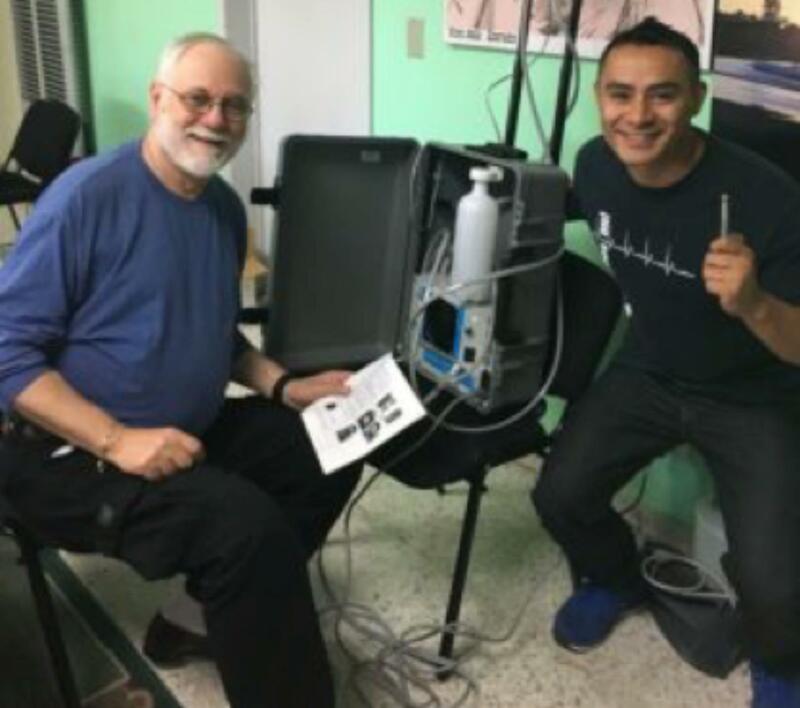 “To acquire a high quality unit,” Dawson recalled, “the local team in El Salvador would have to import one, which presents significant costs and logistics challenges.” So the Mission of Miracles team began to explore options to replace the broken unit. 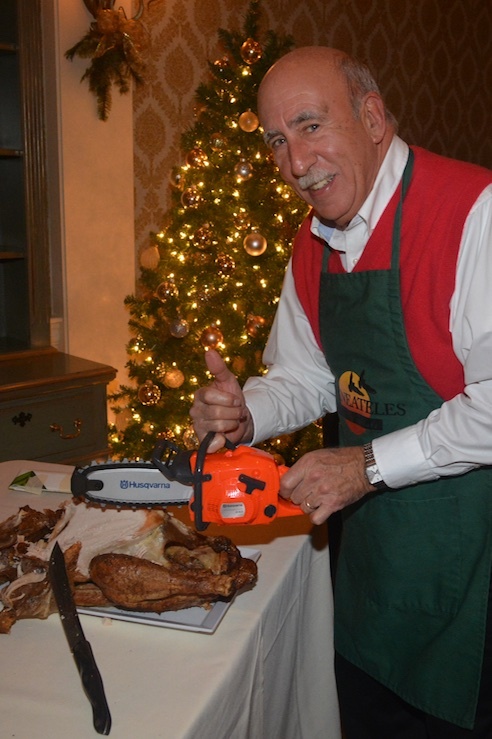 Dr. Gard Lorey, a Skaneateles dentist and long-time Mission volunteer, ultimately secured funding for the unit with a [District 7150] grant from the Skaneateles Rotary Club.